Oh, we love playdough! And this Chocolate Playdough is always a hit in our house. Smells sooo nice! 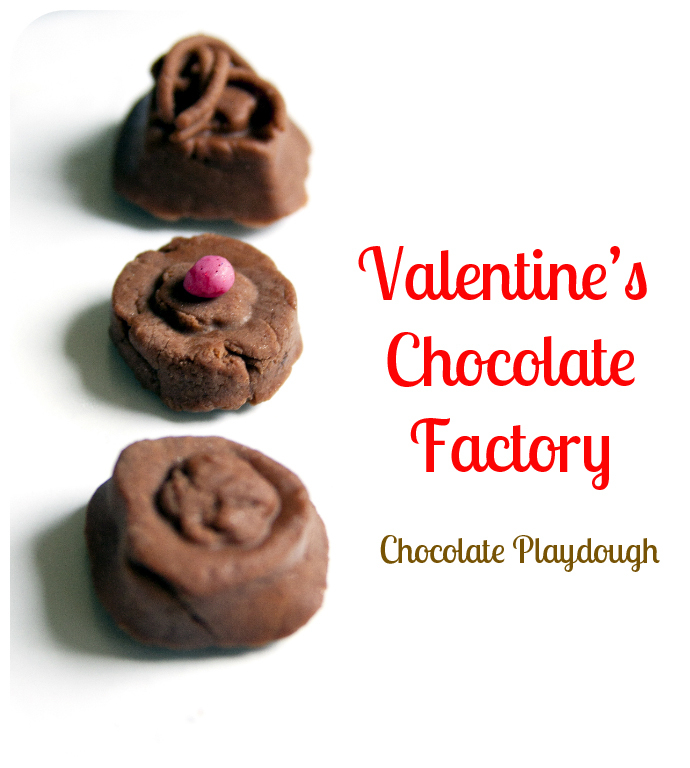 Chocolate Playdough and some plastic insides from chocolate box and here it is - the Valentines Chocolate Factory. 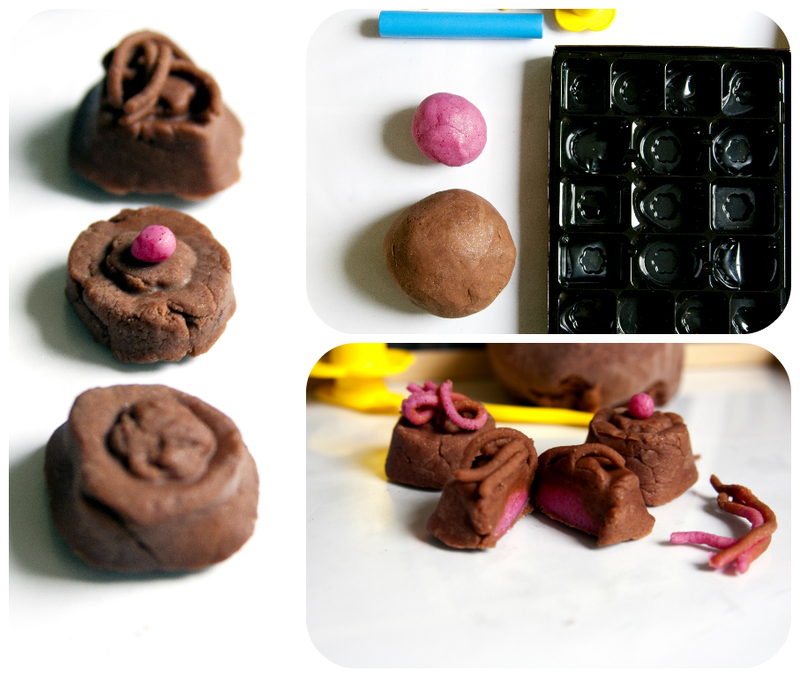 We also used our Pink Valentine's Playdough to make chocolate fillings.